George Bennett (born 7 April 1990) is a New Zealand professional road racing cyclist, who currently rides for UCI ProTeam LottoNL–Jumbo. He represents New Zealand at the 2016 Summer Olympics. Bennett was born in Nelson in 1990. Educated at Waimea College, Bennett turned professional in 2012. He competed with the RadioShack–Nissan squad for two seasons before moving to Cannondale in 2014. In October 2014 it was announced that he would join LottoNL–Jumbo for the 2015 season. In May 2015, he was barred from starting the Giro d'Italia due to low cortisol levels (later discovered to have been caused by illness), as per MPCC rules. He was not replaced by his team. He was named in the start list for the 2016 Tour de France and finished in 53rd place. His most impressive performance in the Tour de France was finishing seventh on stage nine at Andorre Arcalis, judged by some as the toughest stage that year. He competed in the Men's individual road race at the 2016 Summer Olympics and came 33rd; he described the race as "absolutely" the toughest in his career, and 79 riders did not finish. ↑ "Bennett to link up with RadioShack-Nissan-Trek". Cyclingnews.com. Future plc. 11 November 2011. Retrieved 20 November 2013. 1 2 Brian Holcombe (19 November 2013). "Bennett survives tough job market with Cannondale deal". VeloNews. Competitor Group, Inc. Retrieved 20 November 2013. 1 2 Long, David (12 July 2016). "Kiwi rider George Bennett has bike checked for motor at Tour de France". Stuff.co.nz. Retrieved 6 August 2016. ↑ Reich, Josh (6 December 2010). "Wheels of good fortune". Nelson Mail. Retrieved 30 January 2015. ↑ "Kittel, Voigt and Velits set for Santos Tour Down Under". Cycling Central. Special Broadcasting Service. 8 January 2013. Retrieved 10 January 2013. ↑ Shane Stokes (19 November 2013). "Kiwi climber Bennett signs contract with Cannondale Pro Cycling". VeloNation. VeloNation LLC. Retrieved 20 November 2013. ↑ "George Bennett joins Belkin". sbs.com.au. 10 October 2014. Retrieved 18 October 2014. ↑ Emil Axelgaard (8 May 2015). "Low cortisol levels take Bennett out of the Giro". Cycling Quotes. CyclingQuotes.com 2013. Retrieved 9 May 2015. 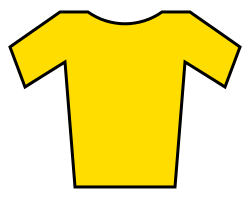 ↑ "2016 > 103rd Tour de France > Startlist". ProCyclingStats. Retrieved 30 June 2016. ↑ Rollo, Phillip (31 July 2016). "Riding to Rio - George Bennett backs up from solid Tour de France debut". Stuff.co.nz. Retrieved 6 August 2016. ↑ Gilhooly, Daniel (7 August 2016). "Gamble doesn't pay for shattered George Bennett". Stuff.co.nz. Retrieved 7 August 2016. ↑ "George Bennett at Cycling Archives". Cycling Archives. Retrieved 6 January 2013. ↑ "George Bennett at Cycling Base". Cycling Base. Retrieved 6 January 2013.